To protect real names, places, or other values with realistic results, it's best to use a lookup value to assign fake, but still real-looking values to each source value. The IRI Workbench GUI for FieldShield supports pseudonyms that may or may not be reversed. 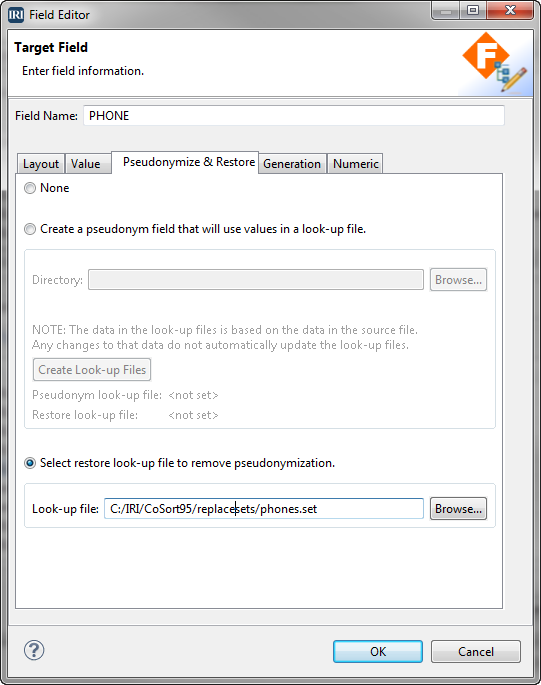 Apply the field rule for Pseudonym Replacement to create a pseudonym field that uses values in a set file as substitutes for the original values in a field. The original values are not recoverable. 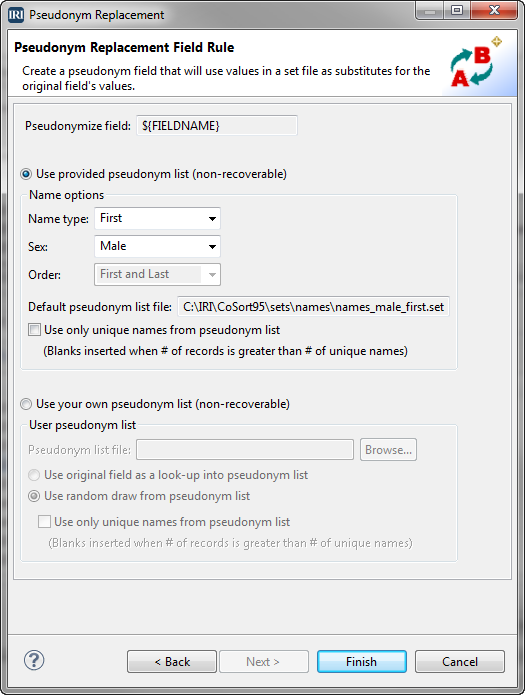 FieldShield also supports the recoverable use of randomly selected pseudonyms, as well as set files or look-up tables that can be used to display and reverse pseudonyms associated with real values. This is accomplished using the Pseudonymize & Restore function in the Target Field layout editor. Think about how you would like to use pseudonymous data in FieldShield, and some of the inherent challenges involved, like making sure you have enough unique names in your lookup set to match to original values. You must also make sure that pseudonyms remain consistent from table to table to preserve referential integrity; here's how.